You probably haven’t heard of PewDiePie. But your kids probably have. The 23-year-old YouTube star is a “gamecaster,” which means he makes videos of himself playing videogames, along with the occasional low-brow, low-fi comedy skit. That’s good news for Maker Studios, the VC- and Hollywood-funded online video talent house, which signed Kjellberg up a while ago. And it’s a poke in the eye for Alloy Digital, whose Smosh duo had previously held that title. One commonality between Kjellberg, Smosh, and lots of other big YouTube stars: Girls like them. 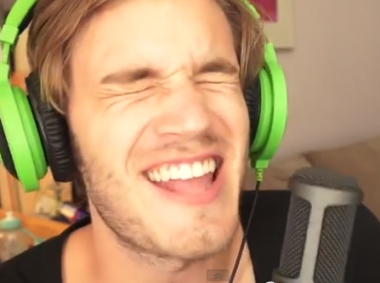 While lots of gamecasters attract male viewers, Maker said that 45 percent of PewDiePie subscribers are female. He collectively refers to his fans as “the bros,” though. The big problem with having all those bros, Kjellberg says, is keeping all of them happy — including the ones who send him funny-creepy fan fiction.